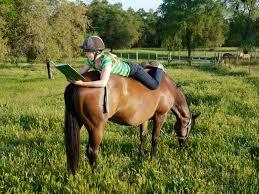 Certificates are designed to give you the knowledge and hands on skills to become better horse people. They range in complexity from E Certificate right up to A certificate which is an exam for the serious and dedicated riders who are prepared to devote thought, time and effort to improving their riding and knowledge of training a young horse. The A certificate takes years of preparation and commitment but at the end of all of your certificates the information you have obtained throughout the process will be an invaluable tool through your riding career and beyond. The first level of certificates are done at club level and focus on the basics of 'learning to ride and look after your horse'. Certificates should not be seen as an EXAM that you might fail but instead as a learning platform with increased challenges and skill sets required as you go through the levels. As you are all aware, we now aim to have 1 theory session per rally. Many of you might find this boring and be constantly tapping your fingers on the table to get outside and ride your ponies but let me assure you, one day you will look back on these theory sessions and be able to apply what you have learnt to looking after your horse and making you a better rider so we ask that you BE PATIENT! In order for you to complete your certificates you need to have the resource booklet which is jam packed full of great information and worksheets. Please fill out the details below as we will be placing an order in the next few weeks to get these booklets here ready to go. 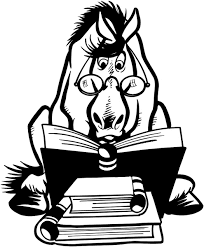 Once we have received the books you will need to make payment to the pony club but more on that when they arrive. If you are unsure of what level you are needing to do then please do not hesitate to contact Katie Hill on 0409450079. There is also lots of information on the pcav website, hit the link button below (PCAV CERTIFICATES & PROCEDURES) and you will be taken straight to the website.